We’re experts at everything to do with the Bureau of Automotive Repair. Most of our incoming calls are from SMOG stations, SMOG techs, or STAR Program stations who have received a letter, a citation, and/or an accusation from the BAR. They’re confounded, often angry – a) what have the done wrong, if anything, b) how do they respond, and c) where do they find an attorney or law firm specializing in the Bureau of Automotive Repair. That said, we get our fair share of inquiries from station owners or technicians just looking for the Bureau of Automotive Repair website, and/or informational numbers and links. Let’s face it. A Sacramento state agency doesn’t always have the most “user friendly” of websites. So in that spirit, here are some links to the Bureau of Automotive Repair phone numbers, as well as other primary links. We’re focused more on the station / technician side and not the consumer side, of course. (Words in italics were taken from the listed website). Bureau of Automotive Repair Website at http://www.bar.ca.gov/. This is, of course, their primary website. It’s not the most user-friendly of course, but if you have the time you can start there. Enforcement Division – BAR’s Enforcement Division mediates consumer complaints, conducts investigations, disciplines registered auto repair dealers who fail to comply with the Automotive Repair Act or its regulations, and takes action against unlicensed individuals. You can find there a list of disciplinary actions, sorted by month. Contact Us – here is the master link to the “contact us” information. 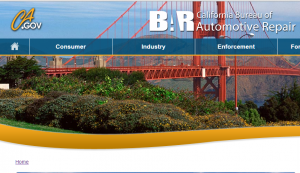 Bureau of Automotive Repair phone number (and phone numbers). Bar Industry Help Desk at 866-860-8509. BAR-OIS/BAR-97 equipment, technical support, program requirements. You can also email them at BAR.IndustryHelpDesk@dca.ca.gov. BAR Industry Page at http://www.bar.ca.gov/Industry/index.html – use this page as your “gateway” to information for the automotive repair and SMOG check industry. BAR-OIS – learn more about the BAR-OIS or “Bureau of Automotive Repair, OBD Inspection System (OIS). Read the PDF letter about the new system, here. If you are a SMOG check station or automotive repair station, and you receive a formal notice of any kind from the Bureau of Automotive Repair, it may be very much in your interest to reach out and speak with one of our attorneys on a free consultation basis. We are specialists in all issues surrounding the BAR and its enforcement activities, and our services may be of assistance in helping you to defend against any sort of Bureau of Automotive Repair letter, citation, and/or accusation. Don’t go it alone. You’re an expert in automotive issues. We’re experts in the legal issues surrounding the BAR. Reach out to us, today. Bureau of Automotive Repair Letter: What to Do?